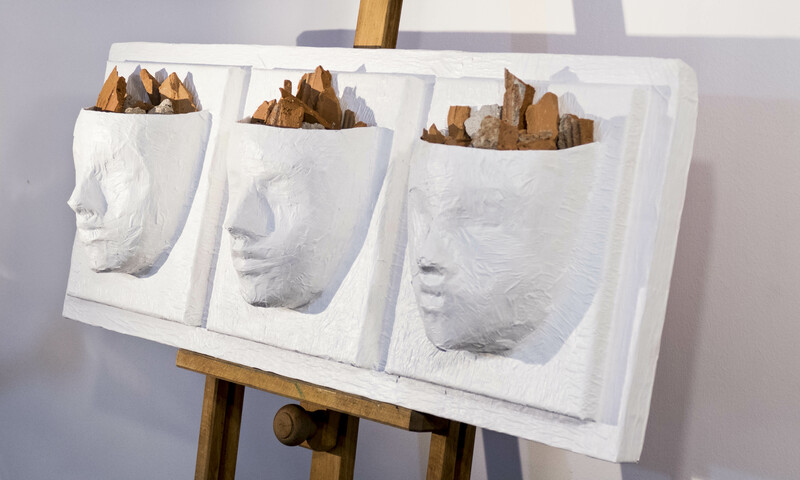 Faces: piece of places is a conceptual work that focuses on the ease with which political figures make decisions to demolish structures and/or concepts, thus changing our lives. A place that once existed is today a graveyard of dust. Broken pieces stay in the minds of those responsible: the one who decides, the one who acts, and the one who sees but does nothing.